Nutfield Parish Council has responded to the Local Plan Regulation 19 Consultation for which the deadline is 5pm on Monday the 10th September 2018. Our submission can be viewed here (click to open) and we encourage Parishioners to back our submission by sending an email to localplan@tandridge.gov.uk. Further detailed information about the Local Plan is available at: www.tandridge.gov.uk. There you will find fact sheets that provides information showing what development is planned for every ward in Tandridge. On 3 July the TDC Planning Policy Committee voted to approve the Draft Local Plan for a Regulation 19 consultation which will now take place between 30 July until 5pm on 10 September 2018. This approval means that South Godstone is officially confirmed as TDC’s preferred option to build a Garden Village containing around 4,000 new houses with associated infrastructure. Construction will take place over an extended period. TDC have stated that the Regulation 19 consultation is a technical consultation, where people have the opportunity to comment on the legal compliance and soundness of the draft plan. The TDC Local Plan is a very important process. The current Consultation is for a period that ends in 2033. It gives residents the opportunity to influence how our District will look in the future. NPC will be responding to the Regulation 19 Consultation and we would encourage Parishioners to also get involved. I want to ensure residents are aware of the work taking place to prepare for the publication of the draft Local Plan. This letter sets out the timetable for the next few weeks. On 6 June and 7 June we are giving your councillors briefing sessions about the sites, along with infrastructure improvements in their ward, which will form part of the draft Local Plan. I am determined to make sure all councillors are pre-briefed, so they can help answer any questions you may have when the draft Local Plan document is made public. I have also asked the planning officers to publish the draft Local Plan document earlier than is statutorily required. This will be available for everyone to read on 21 June and in addition we are preparing fact sheets for each area to make the information for where you live easier to understand. The process is complicated and the documents necessarily huge. By sharing information as soon as we can, our residents, the Planning Policy Committee and anyone else with an interest, will have as much time as we can give them to read and understand the plan. This next draft Local Plan represents the culmination of three years’ work. I am a passionate defender of the Green Belt. Our beautiful district is 94% Green Belt, the highest proportion of any district in the entire country and likely to remain in the top three when our Local Plan is adopted. We know our residents feel passionate about this too. We have held three consultations about the Local Plan. We have listened to what you have said and have shaped the plan accordingly. The total number of new homes this district can accommodate is likely to be around 6,200, which is not anywhere close to the current need of 9,400 homes or indeed the government’s need calculation of 12,900. It is very likely we will be challenged about our much lower figure during the inspection process, by the government and by developers. In preparing the draft Local Plan, excluding the potential sites for the Garden Community sites, we have had to look at 114 sites put forward by landowners in the Green Belt, which if all were developed would provide 30,759 homes. Having carefully considered all the evidence, apart from the proposed Garden Community, we will only be proposing 14 of these sites which would allow the development of 893 homes on Green Belt sites and only when they can deliver a clear community benefit. We can’t continue to rely on development of brownfield sites or within our existing towns to meet the overall housing need targets. We need to find the right balance. The proposed Garden Community will lead to the development of around 4,000 homes built over three decades, with associated infrastructure. At this stage based on the evidence, the draft Local Plan will recommend the Garden Community is located in South Godstone. Once the Local Plan is adopted, the Council, working very closely with the local community, will draw up a Masterplan. We have to prepare a Local Plan. Not just by law, but because we need a long term plan (20 years in this case). We have an ageing population and homes which cost so much our young people have no option, but to move out of the area. We need to provide for future generations. We need them to keep this district vibrant, thriving and economically successful. This is our opportunity to provide more affordable homes for local families and create local well paid jobs which will help our young people get on the property ladder. This is also very much about new roads, healthcare facilities and schools to support existing and future generations. Our strategy for the Local Plan is the best approach we have been able to identify which will deliver infrastructure to a higher standard. For the majority of our residents the Local Plan will deliver benefits and it will be good news. For those who will be most affected, I am committed to working with you to do everything we can to minimise the impact. Please get involved and read the documents when they are released. This Local Plan marks a significant step forward in ensuring the viability and sustainability of the district. Members of Nutfield Parish Council were disappointed to read a report by the Surrey Mirror concerning the TDC Local Plan ‘new settlement’ consultation. As far as Nutfield Parish Council is aware, there is no joint plan between Tandridge and Reigate & Banstead Councils to build houses at Redhill Aerodrome. The Council feels that local residents should be cautious about the many comments now circulating on social media about the Redhill Aerodrome site. If necessary, people should go directly to either Tandridge District Council or Reigate & Banstead Borough Council to obtain information and news. In addition, information can be sourced from local groups such as the Nutfield Conservation Society or Keep Redhill Aerodrome Green (KRAG). 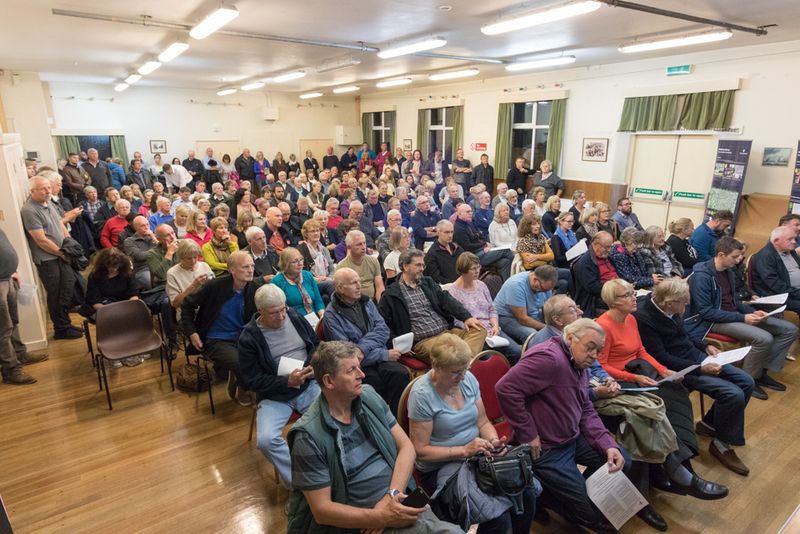 Thursday 21st September was a busy day for Nutfield Parish Council (NPC) as they held two separate meetings regarding the proposal to develop Redhill Aerodrome into a Garden Village of some 8,000 houses. In the morning they met with about 25 of the businesses that currently operate from the existing facilities at the Aerodrome. This innovative initiative is the first time that the Parish Council has had direct contact with the businesses that are based in their Parish. “The proposed development will force all of the existing business activities at Redhill Aerodrome to either close or move,” NPC Chairman John Johnson added. Later that evening NPC hosted a meeting that was attended by over 200 parishioners. An audio visual presentation was made by Councillor Stephen Hall which was followed by a question and answer section which was fielded by NPC Vice Chairman Paul Murray. 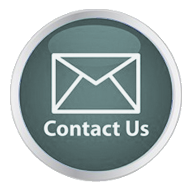 Murray has nearly 25 years of experience in planning matters relating to Redhill Aerodrome. 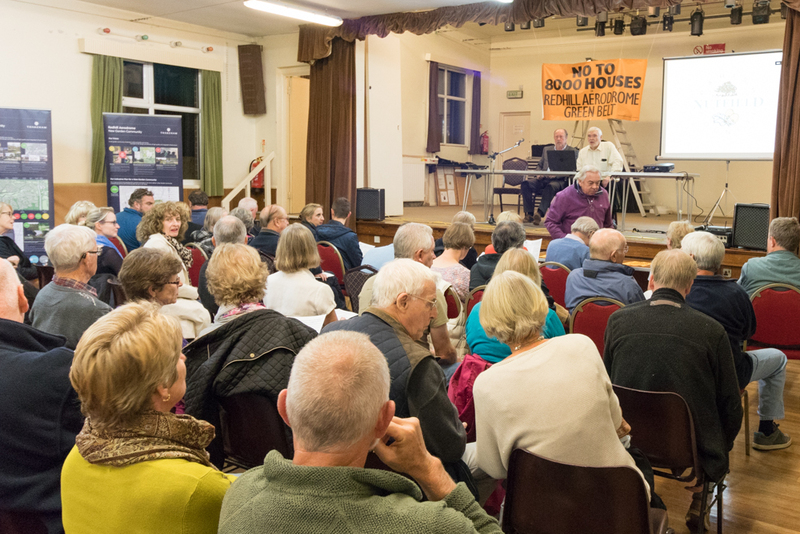 The meeting aimed to provide residents with a greater understanding of the Tandridge Consultation process and encourage people to become directly involved and express their views. NPC have a long established position of opposing inappropriate development within the Green Belt. Nutfield Parish Council is holding a Public Meeting to provide further information regarding the proposal to build 8000 Houses at Redhill Aerodrome. We consider it very important that residents get involved in this Garden Village Public Consultation process and make their views known to Tandridge District Council. Thursday 21st September 2017 at 8pm in the Nutfield Village Hall, Mid Street, South Nutfield. You are welcome to come and discover more about how this proposal could affect our Parish. please contact the Parish Clerk. I consent to Nutfield Parish Council collecting my details through this form.